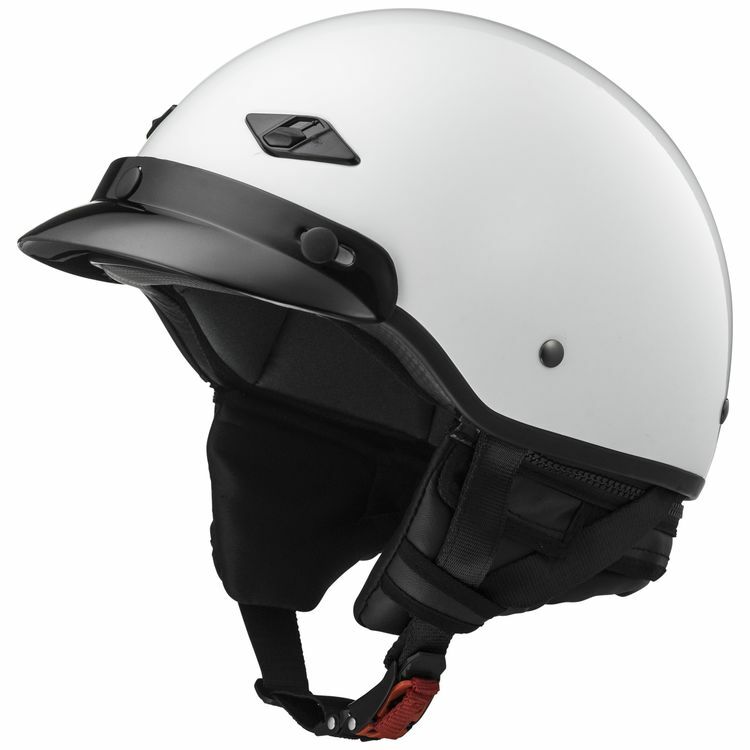 The LS2 Bagger Helmet starts with an ultra-lightweight fiberglass shell. LS2 adds a removable, washable comfort liner, so you can keep your lid as fresh as new. Also included is a zip-off neck skirt that will keep you warmer on cool days and can be removed when the sun is shining. The neck skirt has pockets for speakers from your MP3 player, and a hidden pocket around the neck to hide any wires. Rounding out the list is a shorter removable, 3-snap peak to shade your eyes. I read reviews here and on other sites wherein peoples' comments were all over the map about the fit running large or small. I want so far as to order a different size than usual and wound up with a misfitting helmet (since returned). IMHO ORDER YOUR REGULAR SIZE. Nice helmet with lots to offer. This helmet has nice features. The visor and zip on neck and ear cover is a good add on. The ratchet clasp works well and is simple to operate. Even the vents help. These things at a price less than others. Would recommend. Medium size fits tight for sizing chart. Skull cap no longer option. Love the MP3 speaker pouches and wire pouch. I own the LS2 Strobe helmet, which is well-made and comfortable. So I was excited when the Bagger helmet came in yesterday. Sadly, this helmet didn't live up to my expectations. 2. It's a lightweight, good-looking helmet. 3. A sturdy quick release strap. 4. Has neck skirt for colder weather. 1. Wearing it gives you the dreaded Bobblehead look. 2. Helmet size is not consistent. My size Small, LS2 Strobe helmet fits like a comfortable gloves, while the Bagger helmet is two sizes too large. 3. The helmet stap is so long that I can't get it short enough to have a secure fit. And it leaves about 8 inches of strap dangling from my chin. I'm returning this helmet and cannot recommend it.